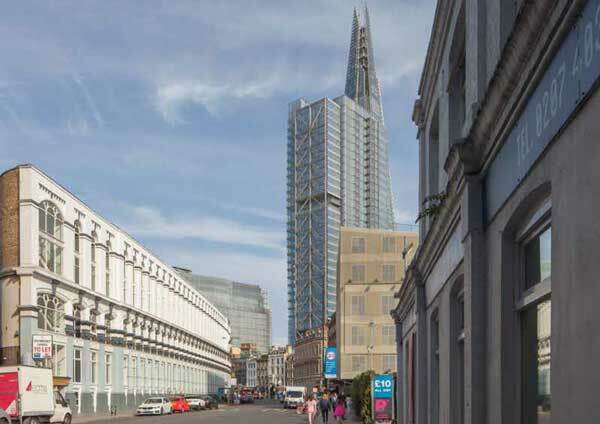 Developer Great Portland Estates has submitted plans for a new high-rise tower to be built in the shadow of the Shard at London Bridge. A planning application has been submitted for the 31-storey office building at New City Court in Southwark. Designed by AHMM architects, the offices will rise to 139m offering 34,000m² of office and ground floor retail space. The project will require the demolition of existing buildings at 20 St Thomas Street and will also see the front elevation of existing Georgian buildings retained and Keat House reconstructed. The tower will boast a 250-seat auditorium and terrace on the 21st and 22nd floors and an elevated double-height public garden within the building on the fifth and sixth floors. Gardiner and Theobald has been appointed as construction manager and has drawn up the construction management plan. Toby Courtauld, the company’s Chief Executive, said the London Bridge project was one of the most exciting schemes in the firm’s current portfolio.